We are excited to have recently learned that China Optics & Optoelectronics Manufactures Association (COEMA), together with the other four influential industry associations have honored Absen with two 2017-2018 China LED Industry Annual Awards. The awards ceremony will take place in this October. Established in early 1987, COEMA is recognized as the most authoritative organization of LED industry in China. The other four organizations are China Semiconductor Lighting/LED Industry and Application Alliance, LED Display Application Chapter of COEMA, Photoelectric Device Chapter of COEMA and China Electronics News. According to COEMA, 2017-2018 China LED Industry Annual Awards recognize the latest progress and achievements that China’s LED industry has made from 2017 to June 2018. These awards are open to any business and organizations involving LED, from LED technologies, products, applications, crafts, to LED instruments and raw materials etc. 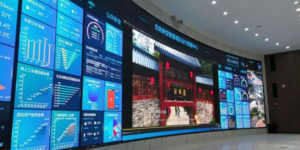 Absen won this award for the impressive LED display solution it engineered last year in Longgang Operation Centre (LOC), the Smart City Brain of Longgang District in the southern coastal city of Shenzhen. 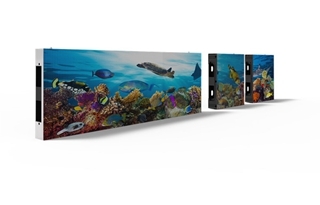 Absen worked collaboratively with Huawei and tailored a curved LED video wall with Absen CR1.2 to meet their requirements of highest image quality, comfortable viewing experience and robust stability. 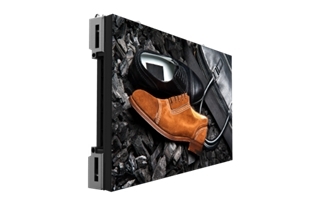 Combining cutting-edge technologies like power & data redundancy, CrystalView and PreciseAlign technologies, the massive seamless screen offers best quality images and secures a never-go-down display system. 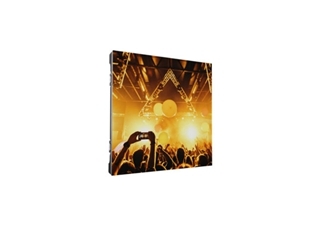 Made of 798 panels, the 1.27 mm pixel pitch LED screen stretches 169 square meters with a curve of 37.1m in radius and boasts a record-breaking high resolution of more than 100 million pixels! 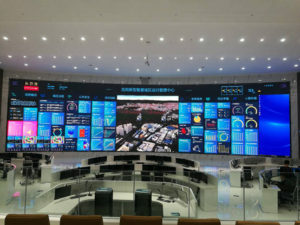 It is hailed as the biggest curved NPP video wall among the world’s smart city display systems. The system is geared to receive 181 signal sources for public traffic, emergency management and public security etc. and can support up to 105 outputs of 720p, 40 1080p and 10 4K in one screen. Not only does the display can be configured to offer a mixture of different resolutions, it also allows flexible full screen control. It enables the operators to make fast and informed decisions. This Awards recognize Absen for its business excellence and contribution to the industry and society. Absen’s company values of Honesty, Gratitude and Responsibility are the foundation of the company’s operations. 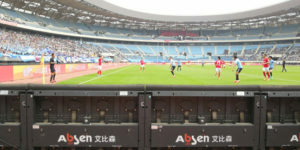 Since its establishment in 2001, Absen has been committed to providing best LED displays and services for its global customers. In the first half of 2018, Absen achieved revenue of ￥840 million with a year-over-year growth of 64%. The past year marks the ninth consecutive year for Absen ranking No.1 among Chinese exporters of LED panels. 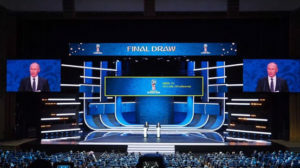 Absen’s products and services were used in a wide range of applications and various significant events like Chinese Super League and World Cup Russia 2018. Over the past years, Absen has demonstrated outstanding philanthropic commitment through involvement by the company and its employees. 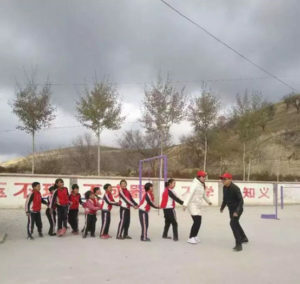 Last November a team led by Prince Lu, the marketing director of Absen, went to Huining County, an impoverished area of Gansu province, and supported a number of orphans and three primary schools with winter clothes, books and other practical goods. President of this 17-year-old enterprise, Hansen Ding also contributes to education especially education in rural areas. He established an education foundation, Hongwei Foundation with ￥3.1million and name it after his teacher’s name to show his appreciation. 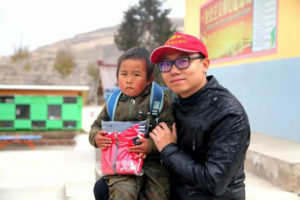 In this June, he went to Tanchang county of Gansu province with his families, provided 10 students in need of help with financial support and other practical items.